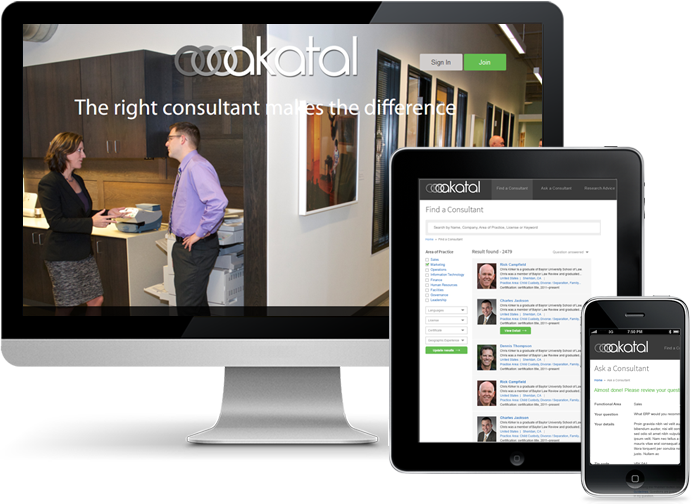 A catalyst for change, Akatal is a marketplace for searching the right Business consultants. Our client was a startup focused on developing a system for finding the right consultant. The idea was then enhanced into a marketplace system for connecting consultants to companies. It is a community of practice for expert consultants, facilitating connections with companies and individuals seeking their expertise and providing visibility for associations and professional publications that educate the market. The client wanted a team who can see through his short term and long term objectives and help him scale up the business along with revenue generation. Our client was wary of using an offshore partner for the project so we provided a means for the client to become as much a part of the development as possible. Requirements gathering would be implemented in a 7 phase development plan as required by the client. We needed to research the subject matter and the industry involved to try to focus on the specific niche of social networking that they wanted this site to be. This was a technically challenging application to build all the marketplace features for an absolutely new industry. Short delivery and timeline was another challenge during the development. Our client needed a consultative approach throughout the presales and production phases. The client shared designs with a community of designers seeking approval there first before bringing them to us making the project even more challenging. Cross browser compatibility tests were performed along with testing on IOS and Android mobile devices. Scalable solutions like AWS were suggested to accommodate the requirements of the upcoming 6 phases. We started with MVP which included core business functionality to get the platform to market, generate enough users to have subsequent phases developed and implemented. We built a complete application using PHP MVC with a responsive front-end. The application is just made live and the response it’s getting is great. Client is extremely happy with Phase one development and is ready for Phase two implementation. Client has invited a focused group (community) for private beta testing and so far we have received some great positive feedback.